This well maintained 4BR, 3BA, SF home, located on a 1/4 acre lot, features large eat-in kit w/ceiling fan and French Dr to wooded & fenced yard, sep DR & spacious MBR w/walk-in closet. LL has huge FR with woodburning FP, BR and full BA. Convenient to Braddock Rd for easy access to I95/495. 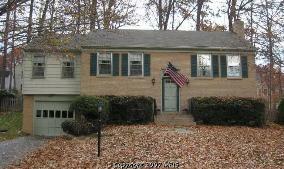 Close to schools, shopping, and parks with walking trails, tennis courts and available pool. A MUST SEE!